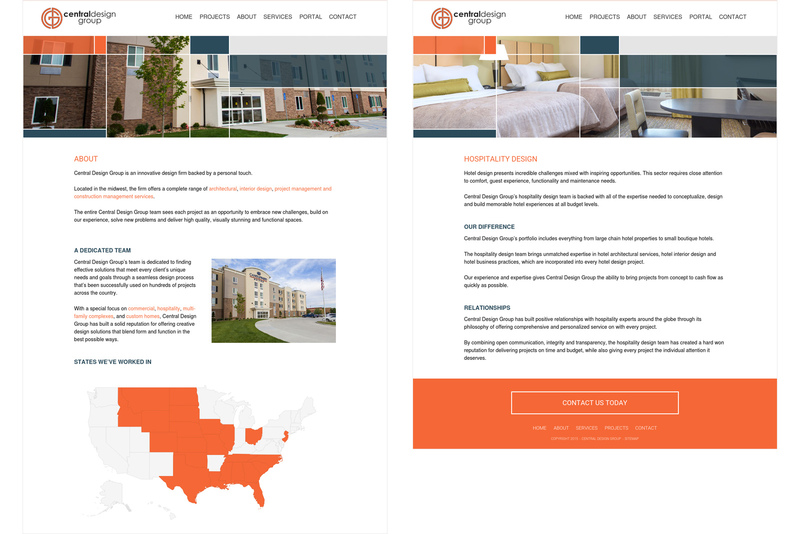 Along with updating Central Design Group's logo and brand standards, we created a modern website that showcases their various hospitality and architectural design projects. 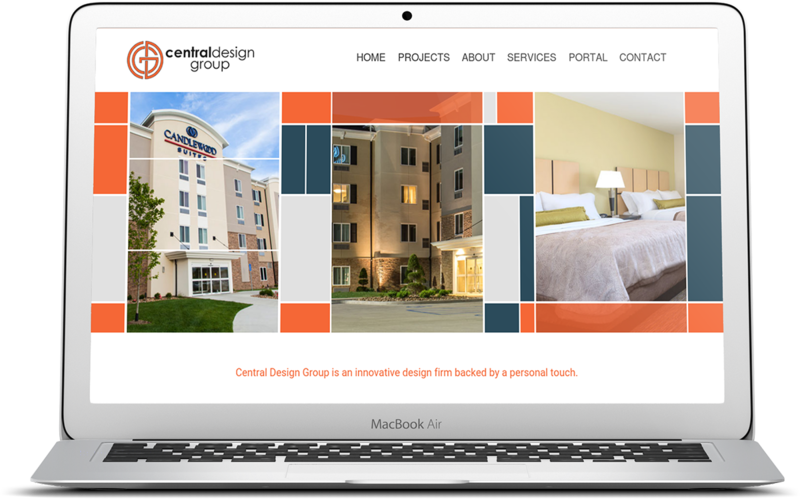 Central Design Group came to Hub & Spoke in need of a total update. Along with helping its sister company with a new website, we worked to make their website easy to update and manage. The new website includes a unique grid system across all pages which obscure parts of the photos, creating a modern look that sets the design apart in a crowded industry. The website includes pictures of various projects, which can all easily be updated, along with a map of past work across the country.